Hotel de Cabourg, Paris. de Cabourg Hotel Paris. With a broad range of services, and recently renovated rooms to offer guests all the modern amenities and total comfort, Hôtel de Cabourg is located in a wonderful neighborhood to offer you a warm welcome and everything you need for your next stay in Paris. Whether visiting the city for business or pleasure, you'll find the services you need to organize meetings, banquets, or any event you wish, with the support of our attentive and professional staff. Bus stops and a metro station are located near the hotel, so it's easy to reach all the most popular parts of the city and major monuments of the French capital like the Opera and the Champs-Elysées. The gorgeous Parc de Monceau is a short walk from the hotel. The hotel also offers a wide range of services including fax and photocopier, elevator, AC, luggage deposit, room service, snack and beverage vending machines, rooms for all types of guests including families and the disabled. Wi-Fi is available in the entire hotel at a cost of €2 per 24 hours. No parking available, pets are not permitted. 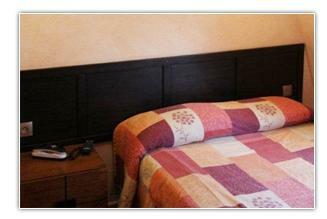 Extra beds are not available since there is no space for extra beds/cots in the rooms.